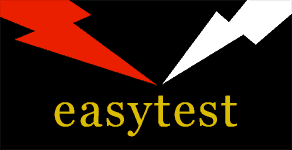 easytest test and tag Is our online test and tag training course available anywhere? I am frequently asked “is your online test and tag training course available anywhere?” or “do I have to attend a classroom for the test and tag training course?” or “is there a time limit to complete the test and tag training course?” The answers are yes, no and maybe. Yes, the online training course is available anywhere, even if you don’t have good internet coverage. On request I will burn all lessons to a disk, and I believe although I haven’t tried it myself, you can store them on a thumb drive and watch them on a TV. I once trained 4 students on a barge between Singapore and Perth. They had no internet coverage so they made videos of themselves by following the check sheet which comes with the test and tag training course. The videos were ferried to the mainland and sent to me using dropbox. This is one of many advantages of the online training course. It can be done anytime, anywhere by just about anyone. I have had many students from remote and rural towns all over Australia who cannot get to normal classroom training, and I have had about equally as many students from capital cities who prefer the flexibility of online training. No, there is no class time unless you live in Adelaide and would like to do the practical assessment that way. the theory assessments are done using Word documents and the practical is normally done using Skype, where the student demonstrates competence using Portable Appliance Tester (PAT) using a check sheet as reference which comes with the online course. If Skype is not available the students can film themselves using the check sheet as a template and give a commentary following the instructions given in the lessons. I did one yesterday at Mount Barker. He worked on oil rigs off South Africa and was due to fly out in a couple of days so I went to his house. Another one I did about a week ago worked on a remote island off the W.A. coast. He happened to be home on floater so we took the opportunity to do the assessments at my home. Maybe. The main advantage of the online test and tag training course is the flexibility. There is supposed to be a 30 day time limit, but this can be flexible. I have one trainee working night shift at an airport and cannot get the time to do it, another has been in and out of hospital, so I have not pressured them. There have been a couple for various reasons have disappeared for months then turned up and finished the course. I understand life and other things get in the way of the best intentions.